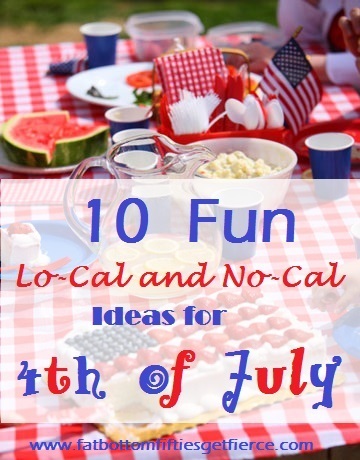 For a fierce 4th of July celebration, check out these ideas that add guilt-free fun to your table! 1. Raise the flag! These raspberry/mini-marshamallow/blueberry skewers are so easy to do you can have several edible flags adorning your table for a fat-free treat that’s big on sweet while skimping on calories. 2. What goes with hot corn on the cob? Really fun cornholders. Who knew there were so many options?? Click HERE for a collection of 10 that range from flip flops to unicorns! 3. Smoked Cherry Bombs – an out-of-the ordinary dessert. Don’t let the ‘smoke’ throw you – the instructions explain how they can easily be smoked right on your stove. 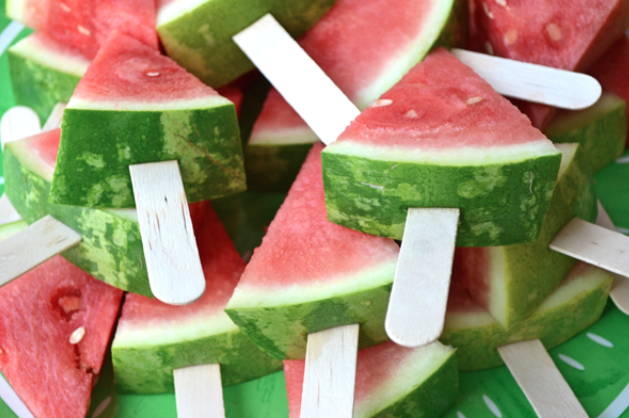 A 93-calorie crunchy delight! 5. A table cover alternative. Trim something plain with bandanas and hot glue on some jean pockets for utensil holders that won’t blow off the table! 6. Red, white and blue potato salad?! Yes – not only is it a light version, it can be made a day ahead! 8. For a quick make-ahead dessert, these colorful flavored meringues are fat free! 10. LIghten and load. To reduce the calorie count of your lemonade while adding a healthy boost, add some sparkling water and load up with fruit ice cubes. HOPE YOUR FOURTH OF JULY CELEBRATION SIZZLES!